I'm kicking off the new year with some simple, modern quilts. I just haven't been in the mood for anything too strenuous--you know, with my broken foot and all. 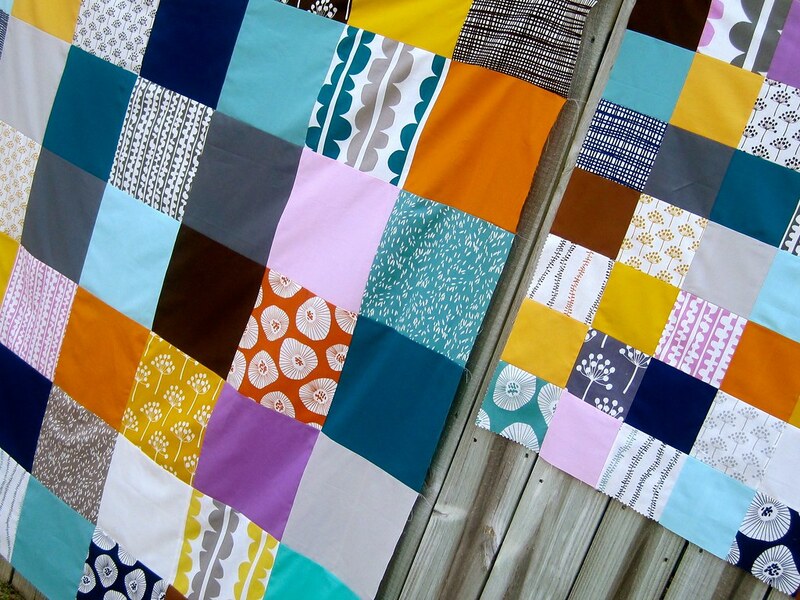 I had a charm pack and a layer cake of the Echo line, along with some coordinating solids, and I thought it would be cute to make matching quilts. The bigger version is 66.5" square when finished and the smaller one is 31.5" finished. These quilts are *almost* identical. I made the smaller one first and realized I should have switched a few pieces around, so the larger one has a few minor changes. I really love the simple, modern look of these! Sadly, my husband is not a fan, but what does he know! I'm still trying to decide on how to quilt these. I'm thinking some "organic" wavy vertical lines. What do you guys think? I think that sounds like a great quilting idea Kelly. I've been wanting to try that wavy quilting that I think is a very long extended zig zig stitch? Hmm...I need to look it up. But it does the wave for you. Bonus. Oh and ten bucks that a year from now your husband will say "you know. I really like that quilt." Without fail my husband pulls that on me. 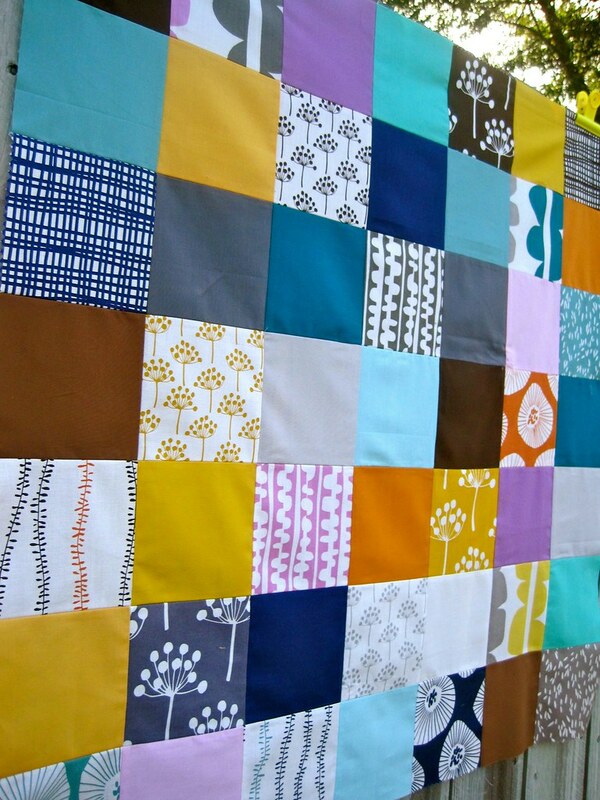 ive been thinking that some of the organic line print in Echo would be cool for backing, and then you can stitch directly on the fabric for the quilting design...am i making any sense? 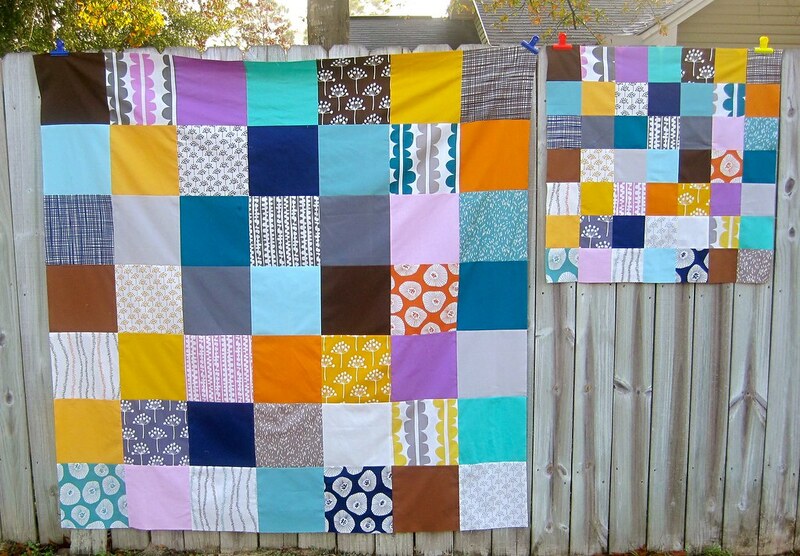 I think wavy quilting would be excellent! They look great! Yeah, what does he know?? 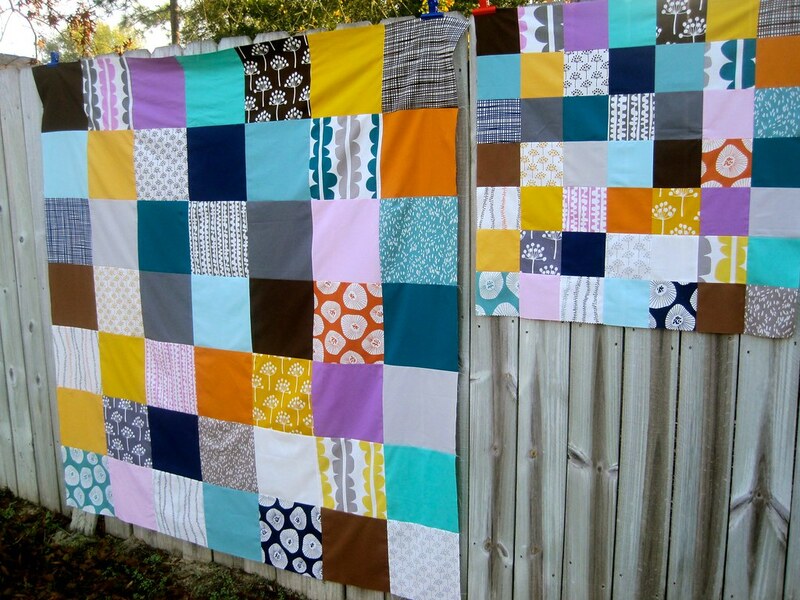 They're very fun, and the idea of matching quilts is so sweet. I suggest if you still have the 'big boot' on, you should give your hubby a kick! Very cool. Organic wavy quilting for sure. SO fun!! I think organic lines would be perfect! organic lines would be perfect. i love them both! These are so cool. I love the Echo line.